One thing I wanted for sure on the final bike was a black frame, as opposed to the silver one on the development bike. This of course was going to mean a full strip down and rebuild to achieve this. 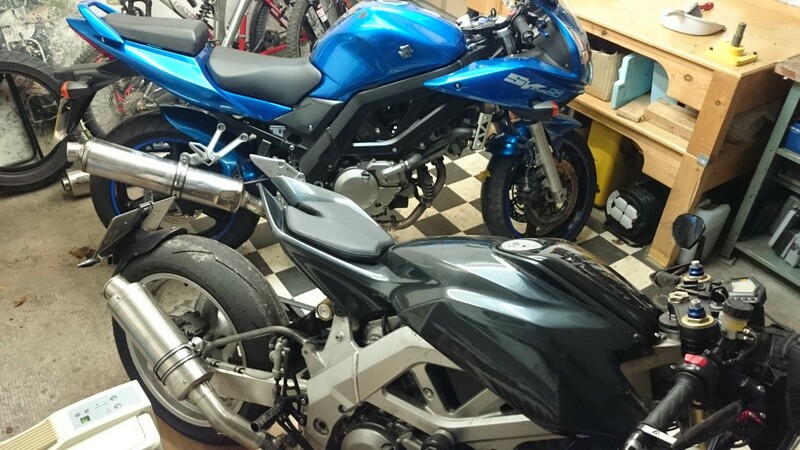 To this end, I bought another low mileage SV650 with a black frame on ebay for a bargain price. The other thing about this new bike is that it’s UK registered – it’s beginning to seem like registering the SV in Germany is going to be an insurmountable hurdle, due to the amount and nature of the modifications. Having the bike registered in the UK is hardly ideal, but it’s the best workaround I can think of for now. It’s getting crowded in my small workshop! 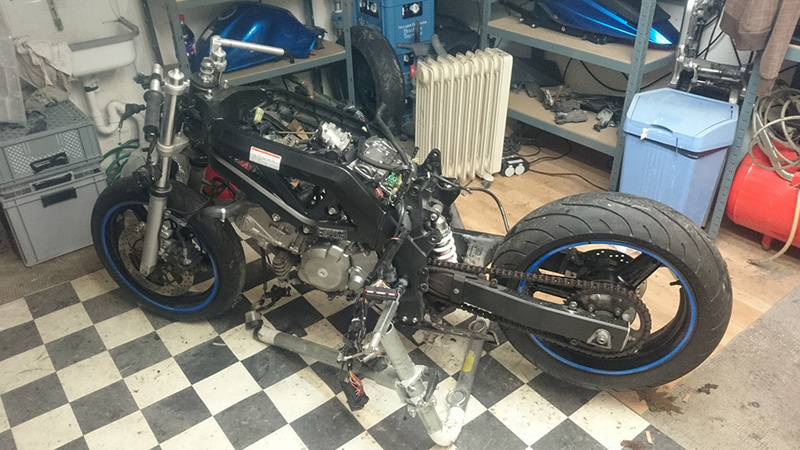 Having stripped the UK bike down, I decided that I should cut off the left hand lower subframe mounting, as it’s completely redundant in the new design. This of course meant that I would have to completely strip the black finish and re-powder coat it. 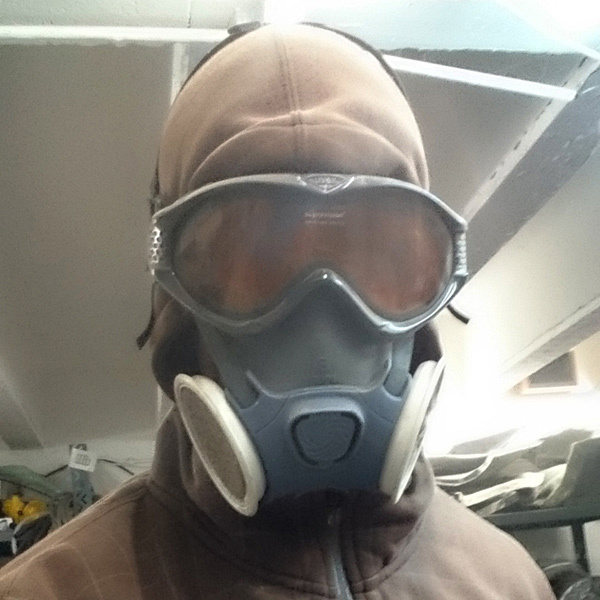 Not having access to a sandblasting cabinet, it was time to improvise a solution that would allow me to sandblast in the workshop. The great thing about this s that it’s entirely sealed, so it’s really easy to collect the sand and refill the blaster! 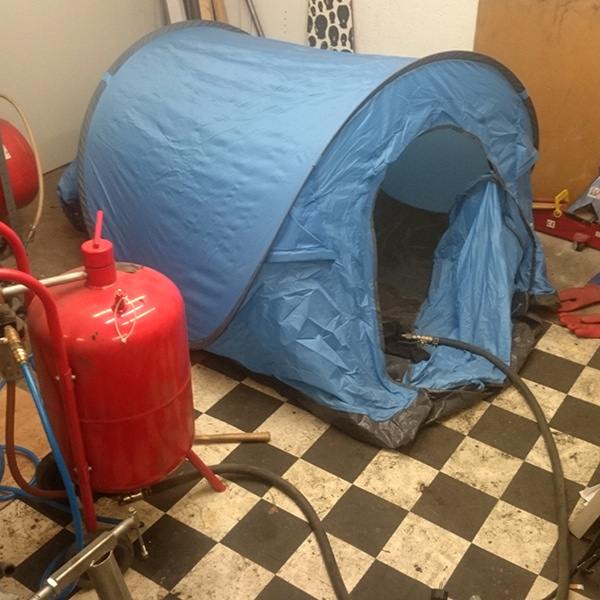 A 40 EUR pop-up tent makes an ideal blasting cabinet! 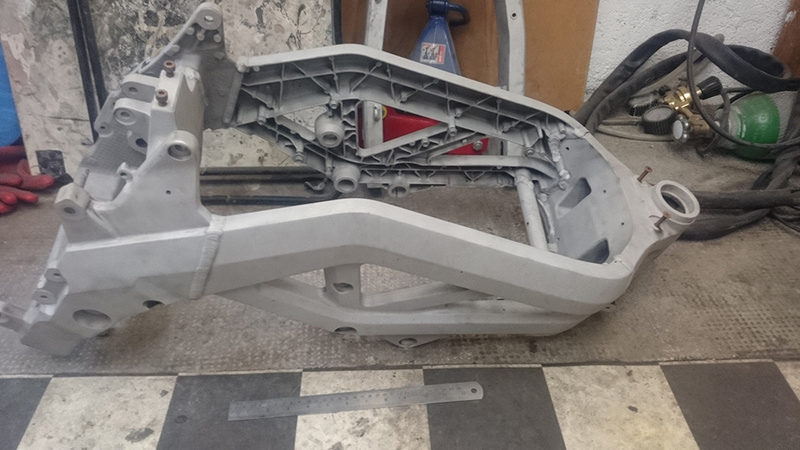 So with the frame, swingarm and some other parts off to the powder coating shop it’s time to turn my attention to some of the bodywork parts.